Apparently zombies are getting sturdier, because it looks like a knife to the head will no longer kill a zombie. 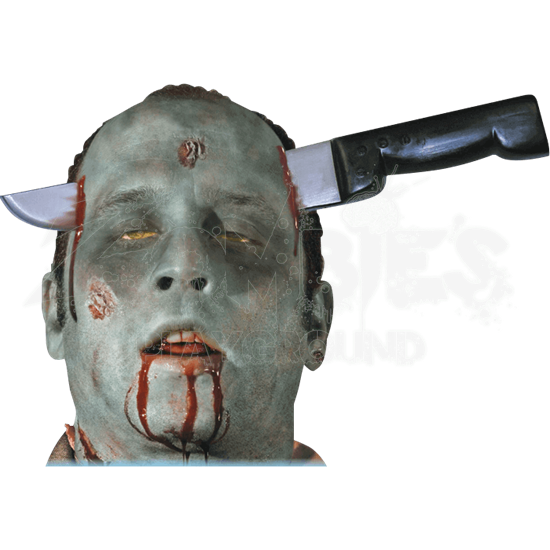 The Zombie Knife Thru Head headband will make anyone look like they have a large kitchen knife stabbed directly through their head. Of course, anyone can wear this headband, although it looks best on zombies, whose dead heads could likely survive having a knife stabbed all the way through their skull. The sides of this simple black headband are decorated with the tip and the handle of the knife. Small spatters of red blood decorate the blade of the knife on each side, while the plain black handle is left unadorned and unstained by blood. As an added bonus, the simple black headband is easy to conceal, eliminating all traces of this being an accessory and not an actual battle wound. 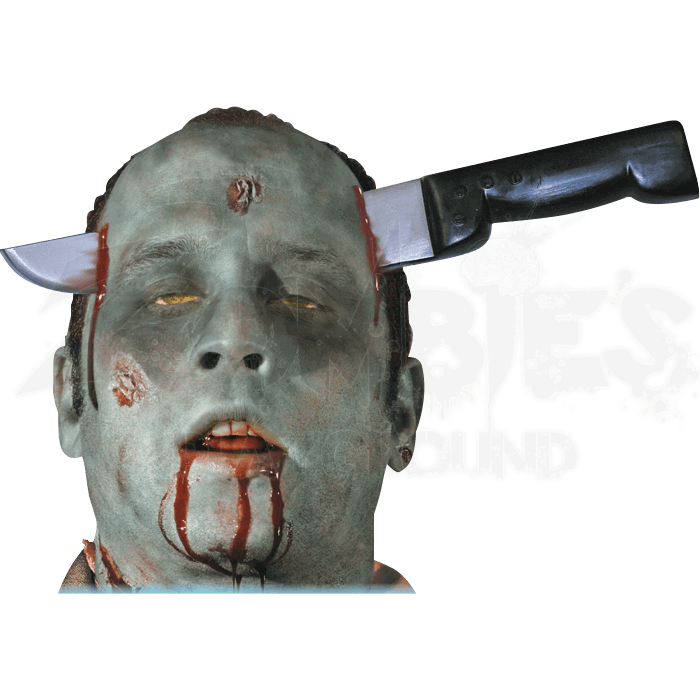 The Zombie Knife Thru Head headband is a great accessory to add to any zombie costume, as much for humor as for demonstrating how sometimes, a well-aimed knife to a zombies temple still is not enough to put the walking dead down on the ground for good.